structure – a characteristic Tuscan estate built five centuries ago – it is possible to taste the excellent cuisine of the restaurant "La Tinaia" – present in the cellars of the estate – and relax at the wellness center with a swimming pool, massages and wine therapy. It offers inviting and comfortable spaces and several treatments, very relaxing and ideal for any age! Located 20 km far away from Siena, Borgo Scopeto Relais is located in the countryside, in the municipality of Castelnuovo Berardenga. This nice town is characterized by the typical green hills of Siena and is part of the Chianti wine area. The Relais is surrounded by a wonderful 17th century garden called "Roccolo", while the whole panorama includes the Torre del Mangia, the bell tower of the Cathedral of Siena, vineyards, olive groves and beautiful forests of oaks. The name of the “Borgo Scopeto Relais” comes from a shrub typical of the oaks forests and perfectly matches with this charming Tuscan farmhouse. The successful restoration has preserved the magic atmosphere of ancient time and the structure is still perfectly integrated in the surrounding landscape. 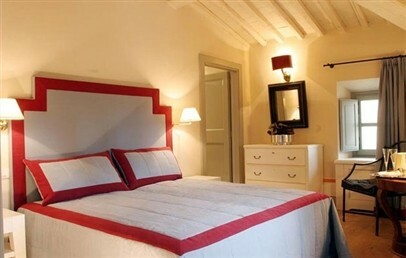 The Relais has been hosting the Sozzini family for five centuries and is built around a main square with a tower from which you can see the arched windows and some archer-sharpshooter. The refined interior design and some frescoed rooms with skilfully-applied 17th and 18th-century floral decorations, complete the unique style of Borgo Scopeto. The Relais has of 58 rooms and suites, presents a restaurant, a wellness centre, two outdoor swimming pools and solarium and two meeting rooms. The rooms and suites of the Relais are all equipped with air conditioning, LCD satellite TV, internet, safety box and bathrooms finished in marble and travertine. They differ each other in size and face the garden, or the countryside or the characteristic corner of the Borgo. Classic (28/32 sq.m.) with double or twin beds and the possibility to add a cot. Deluxe (28/35 sq.m.) with double or twin beds and the possibility to add a cot. 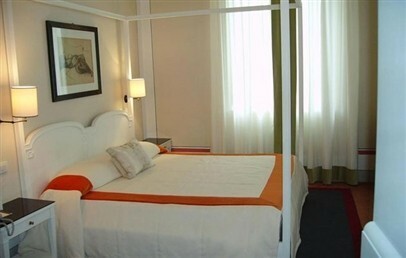 Junior Suite (35/45 sq.m.) double bedroom, with the possibility of adding a cot, and a lounge area with a divan or a sofa. Suite (40/50 sq.m.) can accommodate max. of 4 people and consists of a double bedroom and separate living room with sofa bed. Executive Suite (50/60 sq.m.) can accommodate max. 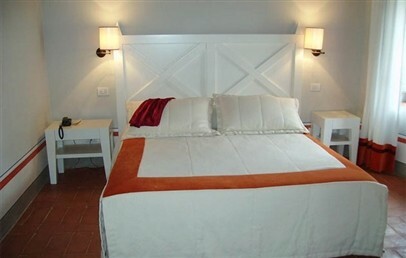 of 4 people and consists of large double bedroom and separate living room with sofa bed. Borgo Scopeto Relax is the wellness centre of the Relais where you can choose different treatments and try the wine therapy. The Spa consists of sauna, turkish bath, hydromassage and chromotherapy showers. For those guests seeking to incorporate sporting activities into their holiday, Borgo Scopeto offers a fitness room and offers a variety of options for your consideration: biking, tennis and nordik walking. In the old cellar of the village you find the romantic and welcoming La Tinaia Restaurant where the chef offers its creative version of the best local and regional recipes. Guests can on request visit the winery, the cellar and the large olive grove of the Relais located a few kilometers and participate to wine and food tastings. The professional and welcoming staff is at your disposal to suit all your needs and offer you additional activities such as vespa tours, go kart rental and shopping tours. It is possible organize work meetings, ceremonies and private parties. Fascinating bedroom characterized by original 14th-century charm, design furniture and all modern comforts. The bathroom, refined with marble or travertino, presents shower or bathtub, hair dryer and bathrobe. The Classic rooms face the park. 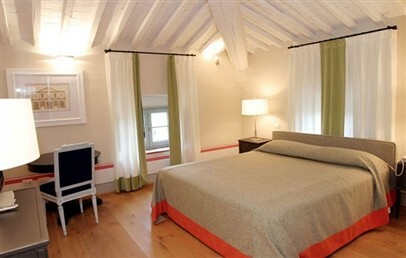 Fascinating and large bedroom characterized by original 14th-century charm, design furniture and all modern comforts. The bathroom, refined with marble or travertino, presents shower and/or bathtub, hair dryer and bathrobe. The Deluxe rooms face the park. 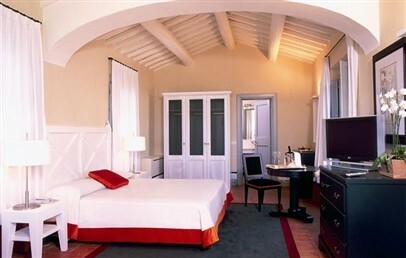 Fascinating and large suite characterized by original 14th-century charm, design furniture and all modern comforts. 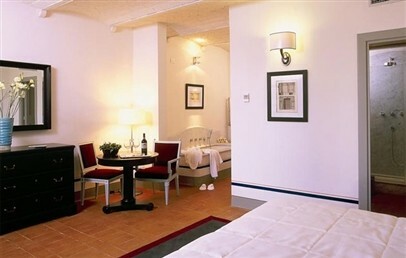 It consists of double bedroom and lounge area with a divan or sofas. The bathroom, refined with marble or travertino, presents shower and/or bathtub, hair dryer and bathrobe. The Junior Suites face the park. 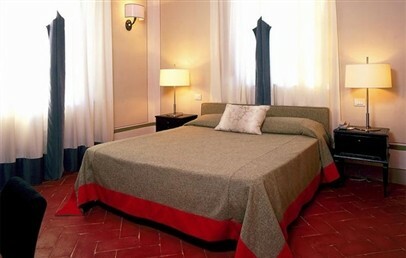 Fascinating and large suite characterized by original 14th-century charm, design furniture and all modern comforts. It consists of double bedroom and separated living room with sofa bed. The bathroom, refined with marble or travertino, presents shower and/or bathtub, hair dryer and bathrobe. The Suites face the park. 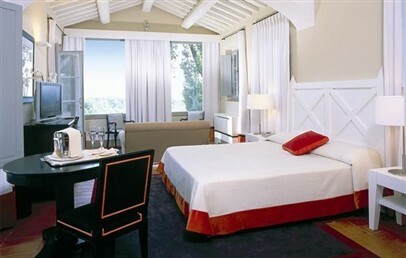 Fascinating and large suite characterized by original 14th-century charm, design furniture and all modern comforts. It consists of double bedroom and separated living room with sofa bed. The bathroom, refined with marble or travertino, presents shower and/or bathtub, hair dryer and bathrobe. The Executive Suites face the park. Fascinating bedroom for single use, characterized by original 14th-century charm, design furniture and all modern comforts. The bathroom, refined with marble or travertino, presents shower or bathtub, hair dryer and bathrobe. These rooms face the park.